<< PREVIOUS: Highway to Oaxaca 2016? We love Puerto for its slow pace, and we know that tomorrow is as good as today for getting things done — except when it comes to the Internet. At a time when Axtel is offering users in Mexico City and Monterrey speeds of 200 Mbps (megabits per second), we count ourselves very lucky if we get five. The demand for high speed Internet has far exceeded the supply in Puerto. We pay more and get less than much of the country, because Telmex has not installed a fiber optic network and no other telecommunications company has entered the market. The problem is that we are still living in the dark ages of data transmission — copper wire telephone lines. To better understand the limits of copper wire, think of a garden hose hooked up to a pump. The longer the hose the weaker the stream. In our case, the “pump” is located at the Telmex station on the Coastal Highway next to the ADO bus terminal. The longer the distance that the data (i.e. Internet) travels over the telephone line the slower the service. This is why, all things being equal, you can get faster internet (up to 10 Mbps) on the Avenida Oaxaca than in Carrizalillo or Costa Chica. If the telephone wires zigzag from one side of the street to the other, you are actually adding distance. So users in the Punta (yes, there are a few lines in the Punta) may get better service than those near the market. The quality also depends on the number of people on the line at the same time. Telmex says the region is “saturated”. 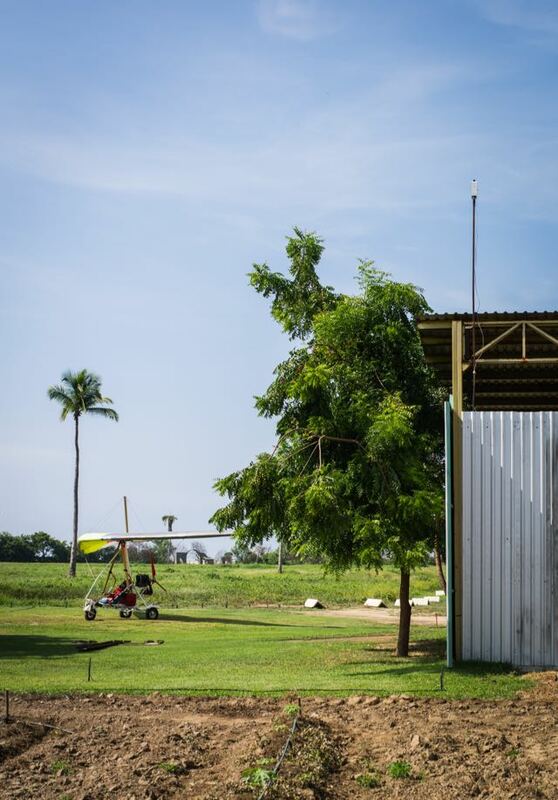 This means that it does not have the infrastructure to provide more telephone lines or to offer Internet service to some neighborhoods like Colonia Aeropuerto, Lázaro Cárdenas and the Punta. 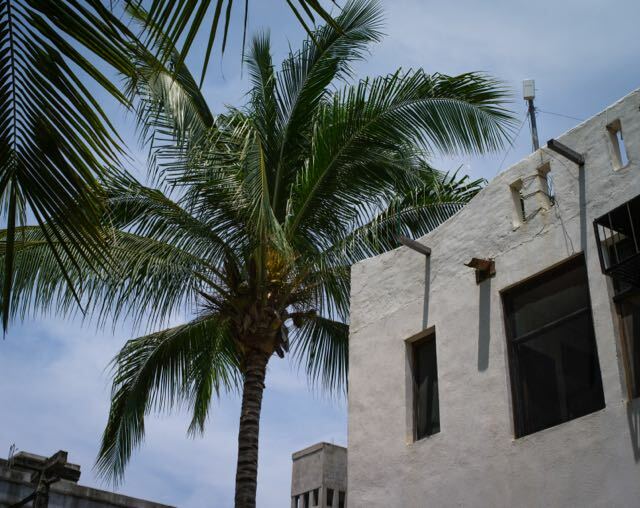 Puerto Escondido has a population of around 30,000 and is growing, but according to the phone book, there are only 3,400 residential phone lines. 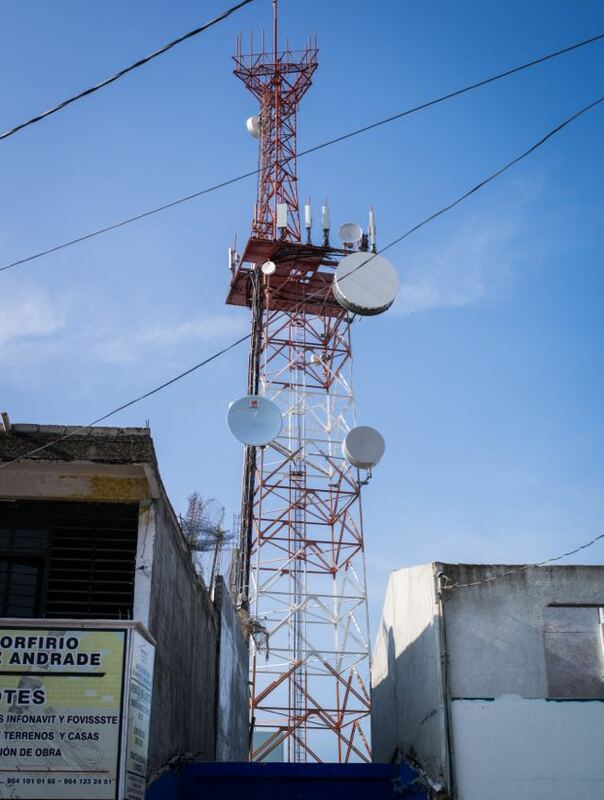 Even though there is a limit to the number of phone lines that can be installed in a given area, the Telmex administrator for Puerto Escondido and Pinotepa Nacional, Lic. Noé Hernández Jiménez, urges the public to continue to sign up for service. That way he can show the company that there is an unsatisfied demand for Internet in Puerto. Call *2222 if you are having a problem with your connection. New providers (perhaps as many as 25) have popped up in the last few years offering Internet service to outlying areas via wireless connections (WISP) similar to WiFi. 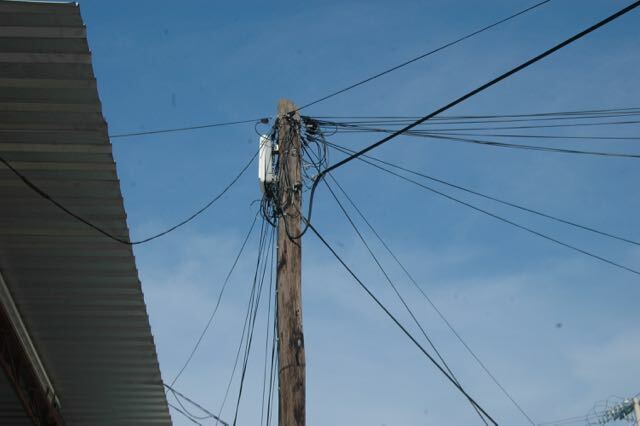 These wireless systems use antennas to transmit Telmex’s 10 Mbps lines to places like Carrizalillo and the Punta. 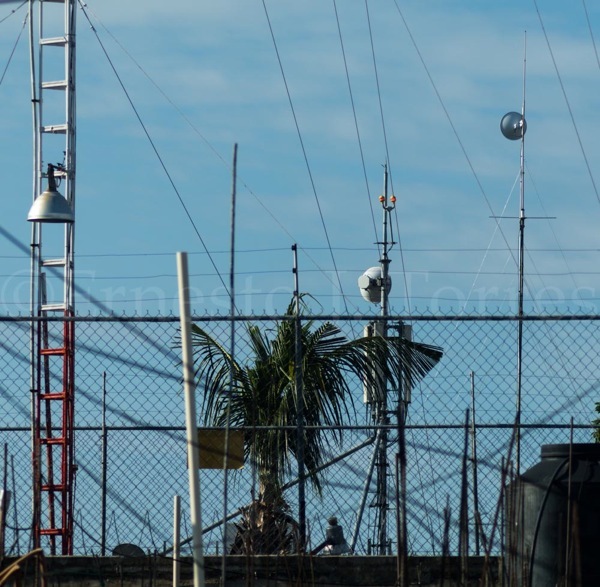 Operating on unlicensed frequencies, they require a series of towers to get to distances as far away as El Palmarito (Vivo Resorts), Santa Elena and Puertecito. A few Telmex lines may actually supply a number of users, since not everyone is downloading information at the same time. Prices vary widely, but the typical cost is $500 a month for 5 Mbps and $1,200 for 10, plus installation fees that range from $3,000 to $12,000 or more, depending on the service and the provider. NetPacific charges $750 a month, but does not have an inscription fee. The problem with wireless transmission is that it is affected by atmospheric conditions: everything from pollen in the air to storms on the sun, not to mention wind and rain. Also there must be a clear sight line between the transmitter and the antenna: no trees or hills or tall buildings. The engineers who operate these services are constantly having to adjust the transmitters to adapt to weather conditions and Internet traffic. Furthermore, wireless systems are only as good as the Telmex lines that feed them. If these lines are overloaded, a line that should provide 10 Mbps may only give 2 Mbps on Sundays. Then the users either lose the connection or suffer very slow service. Add to this is the issue of microwave interference. With so many providers and clients, in a few years the unlicensed frequencies will be saturated, and it is very expensive to operate on a licensed bandwidth. Rural areas will always be dependent on microwave technology; however, once the new highway connecting Puerto to Oaxaca is completed, it is possible that we will have access to other providers besides Telmex. But it will come at a cost. There would have to be a greater demand in the form of more hotel rooms and more inhabitants, before any company would invest in the costly infrastructure. We want faster Internet, and we still want to enjoy the charm of life in a small town. Maybe we can’t have everything we want. No problem, if you have a smart phone at hand. Your smart phone has a setting (not an app) that turns the creature into a WiFi modem! If you have cell phone reception, you can have WiFi on your computer, even when your Infinitum or microwave system is down. Turn on Personal Hot Spot (Compartir Internet). Android phones call this function “tethering” (anclaje). Go to your computer’s Internet settings. The iPhone or android will be on the list of networks to join. (It may take a minute or two to appear.) Enter the password. That’s it. You’re back in business. At this point you may wonder why you are paying for Internet at all. The answer is simple: we do not have cheap “broadband” cell service in Puerto. Depending on your cell phone plan, you get a certain amount of data a month. Your phone uses up the data allotment for GPS and other apps, like checking your e-mail and sending photos. You would use up your monthly allotment very quickly if you were to use your phone for You- Tube or to download music and videos. A plan with a few gigas of data, however, may get you through a month of Internet, if you only use your computer for e-mail, news services, Wikipedia searches, forums, and streaming music or radio stations. The other issue is how stable your cell connection is. 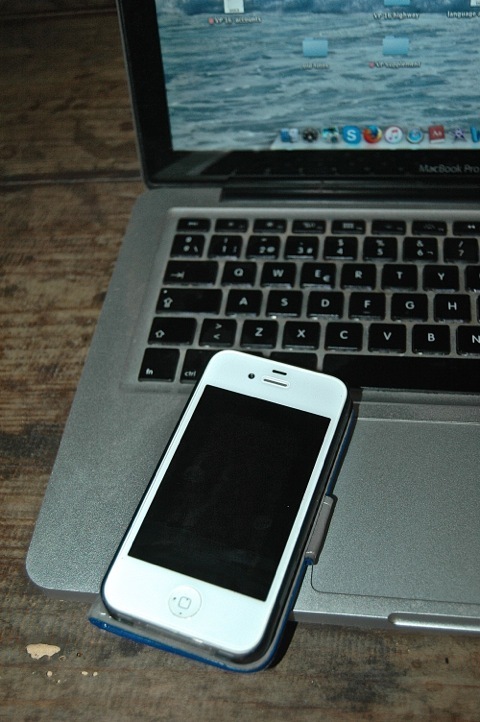 For most people, the cell phone is a good backup for your Internet service, not an alternative to it. 3G phones vs 3 gigas of data. The G in 3G means Generation. There is also 4G in Puerto. Your Telcel plan may offer anywhere from 1.2 to 15 G, as in gigabytes, of data. Megas. Your upload and download speed is measured in megabits per second (Mbps). This has nothing to do with megabytes of data. If you send a photo you are using more megabytes of data than if you send a text e-mail, and if you watch a video on iTunes, you are consuming major megabytes, no matter the speed.